Following eighteen rounds over six events, the Dunlop Masters Superbike Championship will reach its climax at Mondello Park on the last weekend of September, Saturday 29th and Sunday 30th, with the final three races of the 2018 season. The long seven event championship began in late March and has produced an exciting season, particularly in the Superbike and Superbike Cup classes where every race has been hotly contested. Running to new control tyre regulations, where only Dunlop tyres are permitted, has created a level playing field for all competitors and the Superbike class has thrived under the new regulations. Heading into the last event the competitiveness of the championship can be seen from the Superbike results where ten of the eighteen races were won by less than three tenths of a second and seven different riders have claimed a podium spot. The Superbike Cup class, for less experienced and novice riders, has been even more competitive with six different winners and eleven riders finishing in the top three at least once. 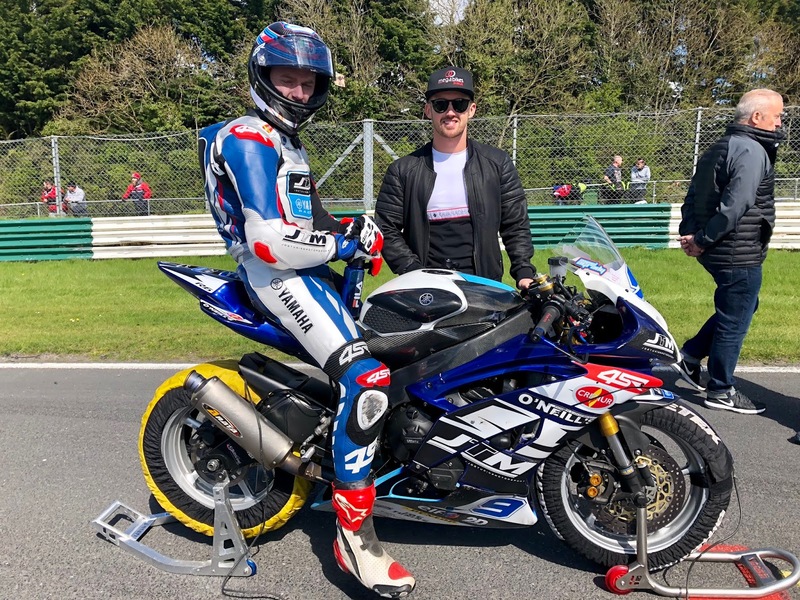 The Superbike Championship was wrapped up by Kilkenny's Richie Ryan at the last event, making the Yamaha R1 racer the first rider in the history of the Masters to retain the title. The runner-up spot however is far from settled with Ballymena's Luke Johnston, on his BMW, forcing his way back into contention at Mondello Park last time out with two victories, his first in the Superbike class. Johnston has to catch Waterford's Peter Moloney, also BMW mounted, if he is to take second. Moloney was Ryan's closest challenger for most of the season, up until the August event, but an accident in race three has left him looking over his shoulder at Johnston as he continues his push to take his first ever Superbike race win, following ten second place finishes this season. The Dunlop Supersport class has produced some fine racing during 2018 between the top two Dean McMaster from Antrim and Tralee's Emmett O'Grady. A crash for McMaster at round eighteen may have put him out of the final event however, leaving O'Grady needing just thirteen points from three races to be crowned champion. The Kerryman will have some additional challengers for race wins at the finale, if not in the championship, as Jason Lynn and Aaron Wright will rejoin the grid following a season chasing British Championship success. The Masters Superbike Championship finale will run over two days with qualifying and round nineteen on Saturday followed by rounds twenty and twenty one on Sunday. The Superbike and Supersport races will be the feature events, but they will be joined by support races for a number of other classes on the twenty three race programme. Tickets for the Masters Championship final weekend can be bought on line at reduced prices by visiting www.masterssuperbike.ie. The championship can be followed on Facebook/MastersSuperbike and highlights from the Superbike and Supersport classes are broadcast on eirSport.